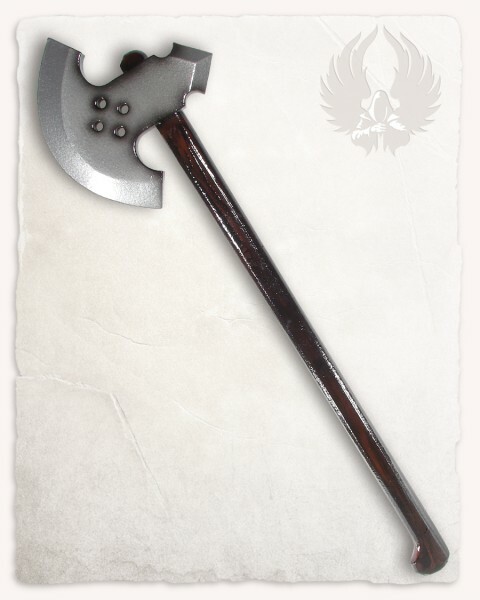 This axe is built at FDD in Regensburg/Germany. As the head is made in a curve it has a pike on the backside. The Blade was decorated with four holes.